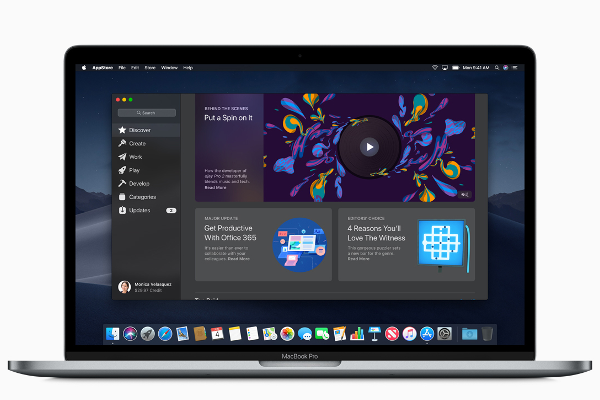 WWDC 2018: Apple announces macOS Mojave with Group FaceTime, Dark Mode, Desktop stacks and all-new Mac App Store. 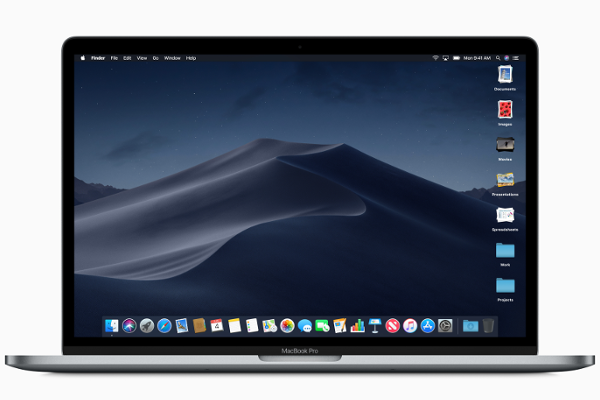 Apple today introduced macOS Mojave, the latest version of its desktop operating system. In macOS Mojave, a new Dark Mode transforms the desktop with a dramatic new look that puts the focus on user content. The new Stacks feature organizes messy desktops by automatically stacking files into neat groups. Familiar iOS apps, including News, Stocks, Voice Memos and Home, are now available on the Mac for the first time. 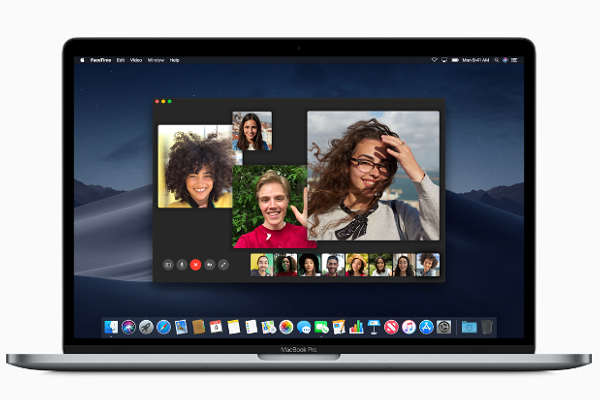 FaceTime now adds support for group calling, and the Mac App Store gets a full redesign featuring rich editorial content and the addition of apps from top developers, including Microsoft, Adobe and others. Group FaceTime makes it easy to chat with multiple people at the same time. Participants can be added at any time, join later if the conversation is still active and choose to join using video or audio from an iPhone, iPad or Mac - or even participate using FaceTime audio from Apple Watch. Stacks for the desktop can organize even the most cluttered of desktops by automatically stacking files into neat groups based on file type. Users can customize their Stacks to sort based on other file attributes like date and tags. Finder also gets a significant update in macOS Mojave with an all-new Gallery View that lets users skim through files visually. The Preview Pane now shows all of a file's metadata, making it easier to manage media assets. Quick Actions allow users to do things like create and password-protect PDFs and run custom Automator Actions on files right from Finder. Quick Look provides a fast, full-size preview of a file, allowing users to rotate and crop images, mark up PDFs and trim video and audio clips without ever opening an app. 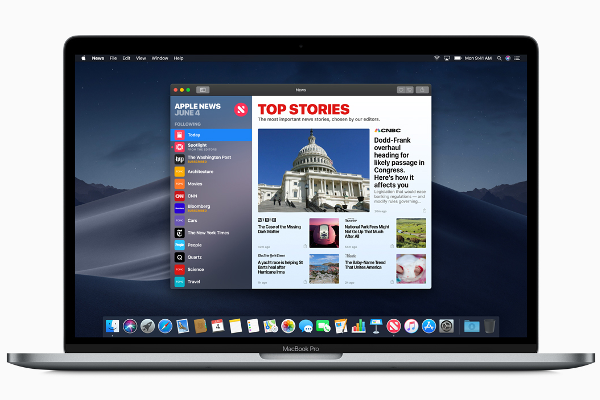 In macOS Mojave, the Mac App Store gets a complete redesign with a new look and rich editorial content that makes it easy to find the right Mac app. The new design highlights new and updated apps in the Discover tab, while tabs for Create, Work, Play and Develop help users find apps for a specific project or purpose. 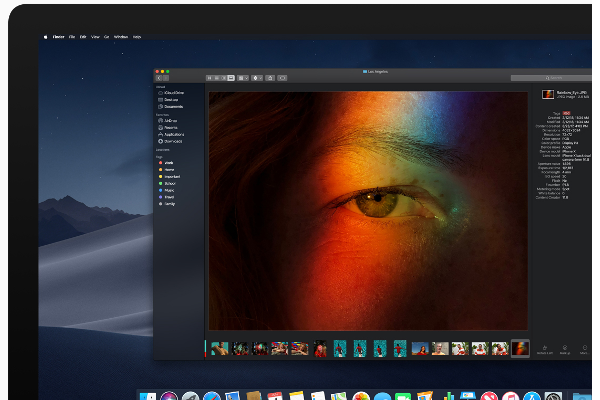 A number of apps from top developers are also coming soon to the Mac App Store, including Office from Microsoft, Lightroom CC from Adobe and more. As always, users can download apps from the Mac App Store with confidence that Apple has approved them for safety and security. As with all Apple software updates, enhanced privacy and security remain a top priority in macOS Mojave. In Safari, enhanced Intelligent Tracking Prevention helps block social media "Like" or "Share" buttons and comment widgets from tracking users without permission. Safari now also presents simplified system information when users browse the web, preventing them from being tracked based on their system configuration. Safari now also automatically creates, autofills and stores strong passwords when users create new online accounts and flags reused passwords so users can change them. New data protections require apps to get user permission before using the Mac camera and microphone or accessing personal data like user Mail history and Messages database. The News, Stocks, Voice Memos and Home apps were brought to Mac using iOS frameworks that have been adapted to macOS. Starting in late 2019, these additional frameworks will make it easier for developers to bring their iOS apps to macOS - providing new opportunities for developers and creating more apps for Mac users to enjoy. + Screenshots deliver new on-screen controls for easy access to every screenshot option and new video recording capabilities. A streamlined workflow enables easy screenshot sharing without cluttering the desktop. + Continuity Camera allows Mac users to take a picture or scan a document nearby with their iPhone or iPad and have it appear instantly on their Mac. + Markup tools are now integrated into Finder, Quick Look and Screenshots, making it fast and efficient to add comments to content and share with others.